Not one of my best qualities. I am in love with the idea of it, wish to embrace it, yet constantly find the need to plan, organize, plot and formulate. These traits can be awesome when it comes to planning events and organizing one’s day. But sometimes enough is enough! Do you hear what I am saying? At times we simply have to be in the moment, and get out there. Go! Don’t plan. Live on the edge. Ha-ha. Like right now! 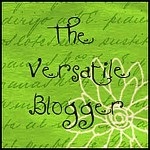 I’m hopping back and forth between my blog and the amazing blog of Jessica O’Neal. I’m talking about Aspergers as I’ve come to know it and how it affects my life, while fielding the fun around here. We’d love for you to come join us when you’re done here! Alright, it may not be that edgy; but it can be difficult for someone who is used to planning everything out in advance. Type A personality, that’s me. Well, last summer I managed to step out and be just that – spontaneous. Summer was almost over and we hadn’t taken any vacation due to daddy’s intense work schedule. I was writing a scene and thought, “How great would it be to refresh my memory of a deep cave experience?” One internet search, a couple phone calls and in a matter of days I had the car packed with kids and bags for the long haul north. We may not have had the luxury room we have ideally liked, but whose budget could have handled that anyway? The point was we simply did it! Just picked up and went, without care for all the other little factors concerning our house and home life. We saw bears, drove through a tree, studied Indian drawings on rock walls, experienced the pitch dark within cold cave walls, walked amongst some of the largest trees (Giant Redwoods) in the United States, wandered down into mountain ravines, enjoyed amazing waterfalls and meandered along fallen markers of time. Run your cursor over each picture for the title. Click on each to enlarge. I have had the crystalline cave experience previously. But enough time passed that a refresher was due. I love having the five senses packed full of knowledge when I write. All the better to pull from. How is your spontaneity counter? Can we catch you going on a whim or must you plan? How about for your writing? Do you get out and experience what you write? They say it’s best to write what you know. I couldn’t agree more. P.S. If you get the chance to vacation, I highly recommend the Sequoia National Park. Amazing! Please know that I always appreciate your time, and love it when you stop by and take the time to comment. Huge thanks! If you enjoyed this post or any of my previous posts, I’d be delighted to have you follow by email or RSS for any future posts! This entry was posted in Life and tagged author, blogging, Debra Kristi, experiences, research, Spontaneity, travel, writing, Writing Fantasy, Young Adult, Young adult fiction. Bookmark the permalink. I think I’m often the opposite of you. Meaning I hardly ever thing consciously about the structure of anything I write, say or even do. I’m not sure I ever gained anything from it. Nice text though. I am way too spontaneous sometimes. I was in Albuquerque NM on business and decided a day trip to Mexico would be fun. rented a car and drove to El Paso. locked all my valuable in the glove compartment and crossed the border. Then I looked around. OOPS. nothing like Tijuana. Much worse. Oh dear. So a wise woman admits a good idea wasn’t so great and she back tracks. through US customs. In line she realizes her passport is locked in the car. so is all her ID but a drivers license. Hmmm. what to do? go forward in the line and pray like h377. the Cusomes officer must have decided I didn’t look like a terrorist nor a Mexican. He looked me up and down, then laughed. Only a Canadian would try to enter the US from Mexico without ID. He laughed so hard he wiped tears from his eyes as he waved me thru. School schedules do lock us in and those assume children, which creates lack of money… Oh yeah, I get it. Been there. Survived. Being a grandma makes it all worth while. what can I say? enjoy the moments. before you know it, you’ll be facing retirement, like me, and going YIkes, how did I get here? Thanks for the laugh!! That is so me. I am a type A, but impulsive person! Sometimes too impulsive. I have to really slow down sometimes. Being in love with adventure really caters to that part of my personality. I was in Sequoia once and would love to take our kids there! The kids had a blast. Although I had to drag my eldest there by his ear. He was glued to his handheld video game every time we got in the car despite the amazing trees rising up around us. I need to take my husband back there. He will truly appreciate it. Plus there are places I would like to hike that the kids just won’t make it. They complained the whole way to and from the cave. LOL. Admittedly, it’s a long hike down the mountain, making it a long walk back up. It’s easy! Just stop thinking or don’t look before leaping! Hahaha! Ahhhmazing!! Love the spontaneous vacations or weekends away – they are the best!! Now how did you get that slideshow thing to work – loved it!!! Here’s to finding time for more of those kinds of trips! Hubby and I definitely indulge in this kind of thing often. With his kid grown and out of the house, it’s pretty easy for us to just pick up and dash off somewhere on a whim. We love it! Feeds the soul. When you set up the slideshow and/or gallery, neither one looks like they are working while you are setting it up. Hit the preview for your post and you will see the feature come to life. It’s really cool! That is fabulous that you and hubby are able to vacation that way. I think you can probably get some great deals that way. My husband’s work is always so busy, I need to schedule time with the man. With the kids we are working around their school schedules. We often plan our trips using timeshare now so that has to be booked in advance. We don’t book it as far in advance as we should. So we don’t always get the best trips. 😦 We plan, but not very well. LOL I hope we can do more spontaneous trips in the future. That would be great! Great stuff, Debra! So glad your on-a-whim vacation paid off. 🙂 Since my hubby and I both have unusual jobs and schedules, we’re nearly forced to take advantage of last minute opportunities. One of my favorites was a trip to Mammoth. No better way to keep life & relationships fresh, if you ask me. True! That will help keep life and the relationship fresh. When I went up to Big Bear a few weeks ago that was very last minute. I tried to get the family to join me for the weekend but they all declined. LOL My boy said the mountain was boring! He didn’t want his father to make him go hiking. Those were the things meant, but left unspoken. 🙂 Dad ended up working on the weekend – OR – becoming addicted to The Game of Thrones. LOL But their loss. I got more editing done. Aw, crap. I probably should have logged out of my work blog before commenting. Sorry!! That was you? LOL. It takes me to a different blog? Work blog? YES, that was me. It’s my blog for work – I posted about that the other day, but you might not have gotten there yet. It’s where I post about vintage and collectible items. Oh my! Sorry to throw you with the spider picture. Now you can be prepared when you go there yourself. There is the chance of really LARGE spider sightings. My kids followed that sucker for the longest time. I don’t think Raid works on them. : -| Did your sandwich survive? How about your desk? I highly recommend visiting this amazing national park. The spider shot was taken near the water pool and fall the kids were playing in. That’s behind “Hospital Rock” – the Indian pictographs. Right now you can see the fallen Sequoia at the Trail of 100 Giants. That beautiful tree, or trees, fell about a month after our visit. And please, PLEASE, don’t have heart failure. Not visiting here or anywhere. Sequoia National Park is awesome, but I’ve never been to the Crystaline Cave. I’d never heard of it before. Now I want to go. Sometimes those spontaneous trips turn out to be the best ever! Yes, sometimes I’m very spontaneous. Usually when I get a spurt of energy and feel like I can do anything, then I’ll jump on it. I love your photos, Debra. What a wonderful trip. It’s a shame your hubby had to work. There are many caves in the park, but Crystaline Cave is the only one with a tour. It’s really worth it! I picked up a book that includes some amazing pictures of the others. There are some serious hikes involved and some are closed to the public for safety reasons. 😦 When we were there they were getting ready to close Crystaline Cave due to some bat disease that was sweeping the nation. I don’t know what is currently going on with that. It is a bummer that the hubby has to work so much. Summer is always a big time for him. His down time is Christmas. Games need to be on the shelf by then. This took place on the Trail of 100 Giants about a month after we left. I have pictures of this tree. The path went around it on both sides. Now it sits on top of the path for a good long stretch and the park needs to decide how it will proceed in order to open the path back up. What a brilliant experience for your kids! They won’t forget that spur of the moment break. And what an amazing place for sparking your creativity. Wonderful. Thank you, Christine! It was a very memorable trip. We look forward to going back someday soon. I’m a planner. Sometimes I might want to take a drive over to Lake Michigan for the day. Or like today drive around the area on a picture-taking expedition (WHY are cemeteries so interesting???). Um, no. I’ve never tried to squash a tarantula before and I wasn’t about to start then. : -S Ha-ha. As much as I would like to throw the hubby in the trunk for a trip, we like to put food on the table so we will let him get his job done. Cemeteries! We love walking cemeteries. I considered doing a post on it. It sounds like you write in layers. I put it all down very thick and extremely detailed the first time. I wish I could write in a sketch form, but if I don’t have all the details ready I defer to writing notes in my journal. So I guess I plan for a really long time in some cases. Some of my books percolate for years. I know what you mean about the ‘percolate for years’ thing. Enza took forever. And I’ve had a couple others in the literary fiction category that have been simmering for a long time. Sure wish I could just write them and get them out of my head. Loved those photos, Debra! I just wrote about John Muir 🙂 the man so instrumental in saving the sequoias, but never been to Crystal Cave. Now I really, really want to go. Thanks for the inspiration, both to see the caves and to be more spontaneous! Yes. I read your post on John Muir. Loved it. Found it fascinating, especially considering this post was already sitting in my queue. Glad you found this post inspiring and I hope you take the chance to be spontaneous. It felt great! If you get a chance to visit the cave you won’t be sorry. 😀 Thanks for stopping by. Sometimes I think I’m too spontaneous. My usual travel plans are: buy a plane ticket and see what happens when I show up. I have learned that doesn’t work so well in the US, so now I buy the plane ticket and make hotel reservations. But that is it. I like to see what I want to do when I get there. But, with moving across the country there are a lot of things that have to be planned. It is proving very difficult for me. I feel like I have made the plan because I know where I am going. But, people say I have to know when I’m leaving and how I’m getting there. Ugh! Details. I guess I don’t really like details. I’m a big picture kind of person. Thank goodness there are detail people in my life who are helping me make the plan! I’m a planner. That’s my default. But I do try to have dashes of spontaneity. I’m learning to spend more time in the moment instead of plotting the next ten moments. 🙂 Fantastic pics. Thank you, Kourtney. Glad you enjoyed the pictures. It wasn’t easy decided which to share. I took SO many. LOL. Sounds like I can take a lesson from you. I added that dash this weekend. The family was completely spontaneous. We’ve hardly been home, but it’s been great! Have you blogged about your trip to Asia? That would be a great post, all those pictures! Well, some anyway. Yes, planning ahead can get overwhelming sometimes. So can getting blindsided. It’s about finding the balance. That’s what I’m looking for. LOL. My Asia blogs are from July 2011-Octoberish 2011. Fantastic pictures. But some tough events. I tend to be a very honest blogger. I’ll tell you what I loved and what I hated. But I wanted to capture my travels as they were not some glossed over hazy utopia. Just in case I need them for future novels! I’ve seen blogs like that and I think they are beautiful – telling it like it is. I’m a planner. If I were spontaneous for a week, I wouldn’t get any writing done. LOL. I hear that. I have been spinning my wheels for the last two days. Ugh.